Securing device with pattern lock is more commonly used protection service offered by Android. Pattern lock is more reliable and widely used security by most of the android phone users. But, sometimes, we totally forgot the pattern lock as nowadays we use Fingerprint unlock or Face Unlock. But at a certain situation, you must enter the pattern lock to unlock your device. 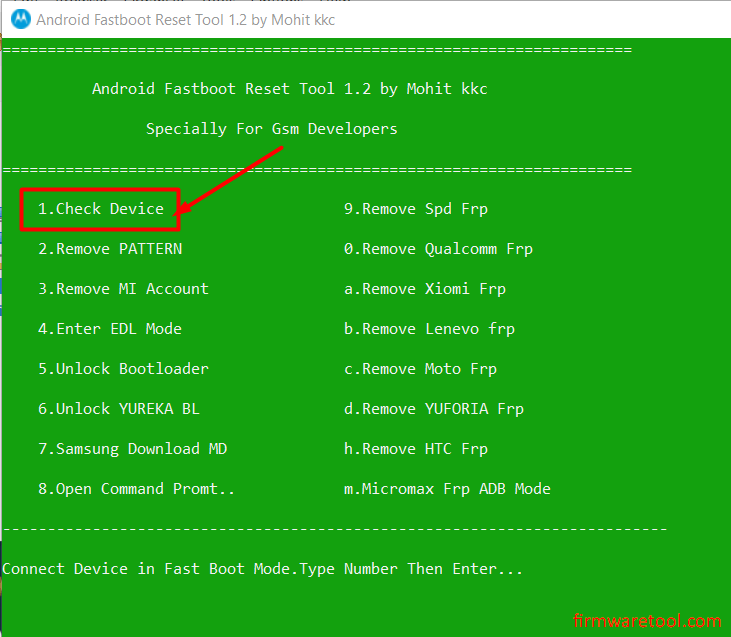 In this post, I will explain, how to remove pattern lock on any android phone using android fastboot reset tool with just one click. Pattern lock is reliable but takes time to unlock your device as you have to draw the pattern every time. To overcome this problem, new technologies like fingerprint unlock and face unlock. These technologies unlock the faster but in some situations, you still have to draw your pattern to unlock your phone/feature. One such situation is, when you restart your phone, you should draw a pattern to unlock the device. Here face unlock or fingerprint unlock won’t let you unlock your phone. As we now know, pattern unlock is important, but if you forgot ]pattern lock, it will be difficult for you to get into the device. to overcome such situation we have a solution by which you can remove pattern lock by just one click. Let’s see how it’s done. you need to have USB drivers installed on your computer for your device. Charge your phone at least 50%. Use a good quality USB cable to connect the phone to the computer. Do not disconnect the phone from the computer using the process. 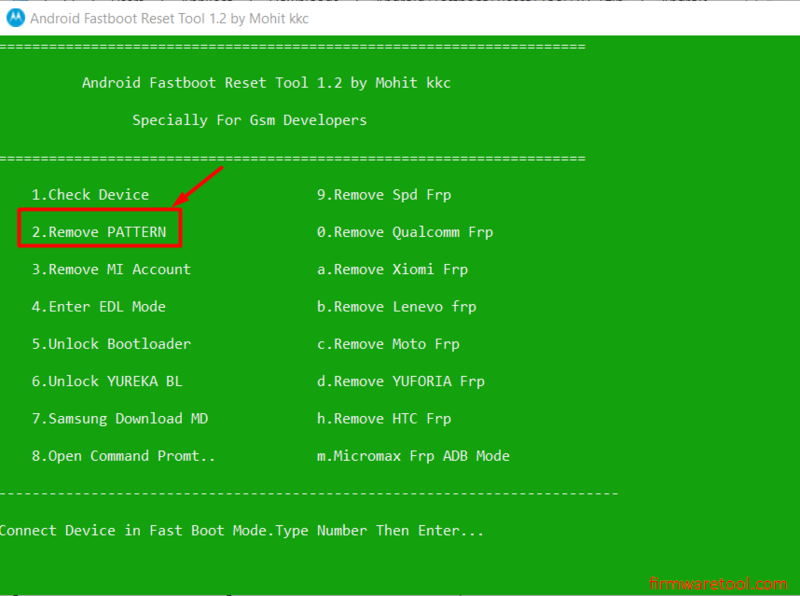 Step1: Download Android fastboot reset tool v1.2 from this article. Also, see how to install it. Step2: Now, turn off your phone and boot into fastboot mode. Press Power button + Volume Down button together for few seconds to boot into fastboot mode. 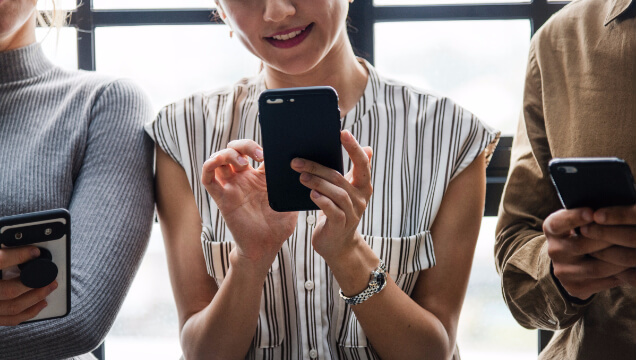 Step3: Now, connect the phone to PC using a USB cable and then open the fastboot reset tool that you just downloaded and installed in step1. Step4: Type the number corresponding to the “Check Device” option from the displayed list and press enter button. Step5: Once the device is detected correctly by the tool, type the number corresponding to “Remove pattern Lock” option from the list and press enter button. Step6: Wait for the process to complete and then disconnect the phone from the computer. After you restart the phone, the pattern is now removed and you can unlock the phone without pattern lock. I hope this guide helped you in a situation where you forgot pattern lock. This post explains how to remove pattern lock on any android phone with just one click. If you have any kind of difficulty or queries, then feel free to ask us in the comment section below.